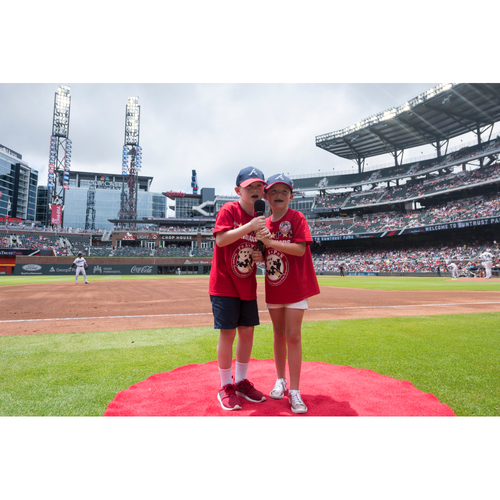 Bid on the opportunity to win four (4) tickets to the MARCH 26th Atlanta Braves game as they take on the Cincinnati Reds. First Pitch is at 1:10 PM EST. Begin the game and get the fans into the excitement with a loud, "It's time for Braves baseball! Let's Play Ball!" Net proceeds will benefit the support of Lee County/Southern Georgia Disaster Tornado Relief efforts. Please Note: Winner MUST BE Available to Use this opportunity on March 25th ONLY. No Exceptions. There will not be an opportunity to make-up this experience during the 2019 season.